Surface Water Drainage Concession Northumbrian Water, which supplies water and drainage to the county, have agreed to offer community groups, which includes village halls, a concession when it comes to charging for surface water drainage. This has saved some members £100s. Surface Water Drainage is the charge Northumbrian Water makes for the water flowing off buildings and hard surfaces like car parks. 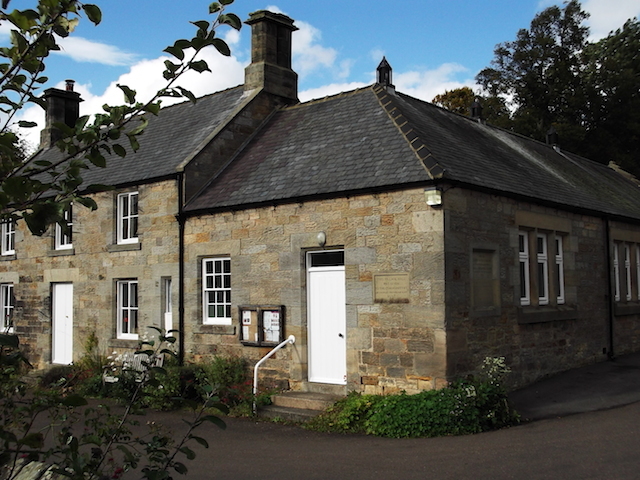 For village halls, and similar properties, the annual charge (May 2016) will be capped at the lowest band at £116.75. To obtain this concession, if you are not already receiving it, you will need to apply by completing this simple form. Please note that eligible properties must have a metered water supply and be connected to main drainage to obtain the surface water drainage concession. If your hall has its own septic tank then you won’t be paying any drainage charges. Changes to Water Industry From April 2017 all businesses (that includes charities like halls) will have the opportunity to choose their retail service provider, just as you can with other utilities such as gas and electricity. This means that no matter how much or how little water your venue uses, you will be able to choose who provides your customer service activities such as billing, customer enquiries, payments and meter readings. Northumbrian Water (which are part of Northumbrian Water Group) will still be your wholesaler so will continue to supply your water from the same source and provide your sewerage services. Some members have reported very significant increases in their water bills. They are all halls which do not have a metered supply. For non-domestic properties like community buildings, Northumbrian Water offer a free inspection to identify the cost of installing a meter. For many this initial cost might well be worth while. Go to this link for more information and contact details. Reducing Energy Costs The best way to avoid ever-rising energy bills is to reduce consumption by ensuring that the hall is well insulated and/or to install alternative sources of that energy – like solar panels, heat exchange systems etc. There are plenty of excellent examples of halls benefitting from this route. For those halls which want to make immediate savings there is another way. Over the last few years a number of schemes have emerged whereby groups of users have joined together to buy their electricity or heating oil in ”bulk”. EnergyCAN Our Consortium, together with the West Northumberland Community Buildings Consortium, has joined forces with Community Action Northumberland (CAN) and LSI Energy, a leading energy broker, to bring savings to members. Already sixty four contracts for electricity and gas have been taken out by members and other organisations. The idea is a simple one, combining the buying power for small businesses and organisations to enable cheaper prices for electricity, gas and telephone to be negotiated. There are no membership fees and savings could be huge, as all the members work towards a common renewal date. There is every possibility that your organisation or business is paying more than it needs to for electricity and gas. You may even be locked into a contract where you have been ‘rolled over’ onto a more expensive tariff. Find out here how to obtain a “no-obligation quote” under EnergyCAN. There are also many bulk buying schemes involving heating oil operating in the county. Oil CAN offers one. It is partnered with Affinity (part of a large farmers co-operative) and regularly seems to make savings compared with alternative suppliers. The annual membership fee is £18 for community buildings. Go to Oil CAN for more information and an application form. Smart Meters These are to be installed free of charge in all households & small businesses between now and 2020. Have a look at this leaflet from CAN which explains the potential advantages.